As you probably would have read in my previous post, I crashed/lost my Walkera QR X350 Pro, which I had successfully operated for over 18 months. Learning from my experience, I'm now wanting to replace this drone with something more capable. The number one consumer drone is the Phantom 3, that said there's some pretty good deals to be found right now on the Walkera Tali H500. I thought an 'informal' comparison between the two, written down in this blog, would assist me in my decision making and help me to arrive at the most suitable choice to fulfill my needs.. There's little doubt that the Phantom 3 Pro and Advance quadcopters are considered some of the best aerial filming drones on the market right now and they are built by the largest drone manufacturer in the world DJI. Their level of sophistication and the integration of their systems is unmatched, they are brilliant, high end consumer drones. The Tali H500 on the other hand is not as well known or popular as the P3. It's a hexacopter built by Walkera and has mixed reviews from users. Some say it's a dud but many others say it's a very reliable and flexible and still has room for growth and development as an airframe. It comes with the industry standard autopilot installed and a controller handset that has a built in screen for viewing live video and telemetry. One of the main factors to my QR X350 Pro crashing was the hot, windy conditions. This has made me look for a larger, more redundant airframe such as a hexacopter. 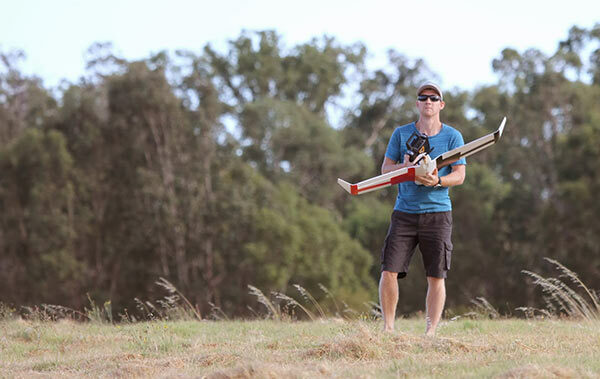 With a quadcopter if a motor fails then the aircraft will crash instantly. With a hexacopter, if one (and sometimes even two) motors fail then there is a very good chance it can still be controlled back to pilot safely. Four motors = no redundancy if component fails, quad crashes! The P3 is all about integration and ease of use. The downside to this is that the user cannot swap the camera over for another. Being a quadcopter is is also very restricted in it's lifting capacity, somewhere around 200g is about all an airframe of it's size can carry. The Tali H500 hexacopter on the other hand, whilst is not considered a heavy lifter, can lift much more than a quadcopter, more like 500-700g. The other factor is that because the airframe is independent to the camera, the Tali can 'swap out' it's payload anytime. The user can choose what gimbal and what camera he/she wishes to use. 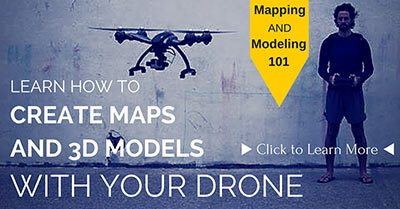 For a 3D mapper this means that a GoPro can be used, a modified GoPro with a specialised lens, or even a compact camera. It also means that a 2D or 3D gimbal can be sued depending on what is required for the mission. The Phantom 3 has a slightly longer flight time than the Tali H500. About 24min is what I have read where the Tali H500 seems to be getting 18-20min depending on who you speak to. For mapping the advantage here is that a longer flight time means a larger area can be surveyed on one battery. DJI aren't really in the business of aerial mapping and their Go app does not support mapping features, however there are other companies that have created software to plug into the P3 range to make them a very good mapping tool. When you combine the P3 with a mapping service such as Drone Deploy suddenly it does become much more capable and very close to an absolutely fully integrated airframe/post processing package. The flight controller in the Tali is based on Ardupilot, an open source autopilot and it uses a mature and feature rich ground station program called Mission Planner. Mission Planner has many, many mapping tools and is considered the industry standard. There's not much that a pilot cannot flight plan in Mission Planner. Also there is a tablet version with most of the functionality. The Phantom 3 range of quadcopters have absolute integration of systems, the camera and gimbal are not 'add-ons', they are part of the drone. With the DJI Go app you can view the status almost all systems including the waypoints planned and the current waypoint the drone is heading to plus this can be changed and new waypoints can be added in real time. The other major benefit of the P3 is that is uses 'Lightbridge' for the video and telemetry. This means that the pilot can view all of this information in HD and on an HD Screen such as a tablet. The Tali H500 (in this configuration) does not report the same level of telemetry, but it does have live telemetry and analog video signal out to a range of around 1km. On the screen integrated into the controller the pilot can view the drones altitude, distance from home, GPS lock and battery voltage, it does not report waypoints or progress. Full telemetry inc altitude, vertical speed, airspeed, battery status, GPS lock plus waypoints and progress. New waypoints can be programmed in real-time. Basic telemetry inc altitude, distance, battery status and GPS lock. For aerial filming the P3 is pretty darn good, a 12MP still photo and 4K at 60fps videos, certainly as good as a GoPro, also the level of camera remote control is un-matched. For mapping what really sets the P3 apart is that the images are automatically geotagged, this is because the camera and flight controller are integrated. The downside to this is that you can't separate the drone from the camera, you can't add a more powerful sensor or change the type of sensor (well you can but it's very expensive) so you are limited in what you can expand the drone out to. For most pro-sumer aerial photographers there would be little need to upgrade or expand, however I'm not interested in filming, I'm focusing on the still images. The Tali H500 does not have this level of integration of camera and flight controller and the camera cannot be controlled remotely from the pilots controller or ground station. That said, there are ways to 'add' the EXIF data to a GoPro image post flight so that the images are geotagged. The advantage the Tali has over the P3 is that it can be retro-fitted with other cameras, most noteably the Sony RX100. The Rx100 is considered an extremely good compact camera and won many awards. For aerial mapping is has a 20MB sensor, this results is much higher detail and accuracy for the final 3D map. I am in a fortunate position where I have contacts in the industry and I can get some good deals on both these airframes. If my focus was aerial filming then I think the Phantom might have a slight edge over the Tali. It's limited with it's payload capability and for it's expandability, however it makes up for it in it's systems integration, it's HD video link and it's portability. But for my interests though, in 3D aerial mapping, those features are not as important as the safety benefits and the payload capacity of a hexacopter plus the expandability that the Tali H500 will give me to help future proof the airframe and facilitate me increasing my skills. 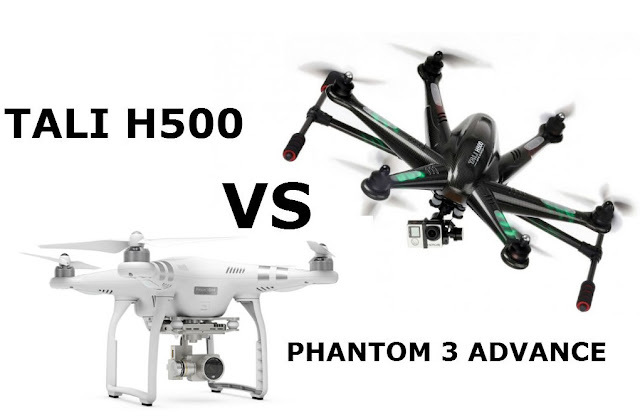 For me, I think I'll be grabbing a Tali H500 very soon to replace my lost, but not forgotten, QR X350 Pro quadcopter.